It may surprise some people but yes, there’s a built-in way to share your files, folders, photos and other content with your social media friends and family directly from the Desktop, and you don’t need to install any third party programs or utilities to get it to work. Well, kind of. 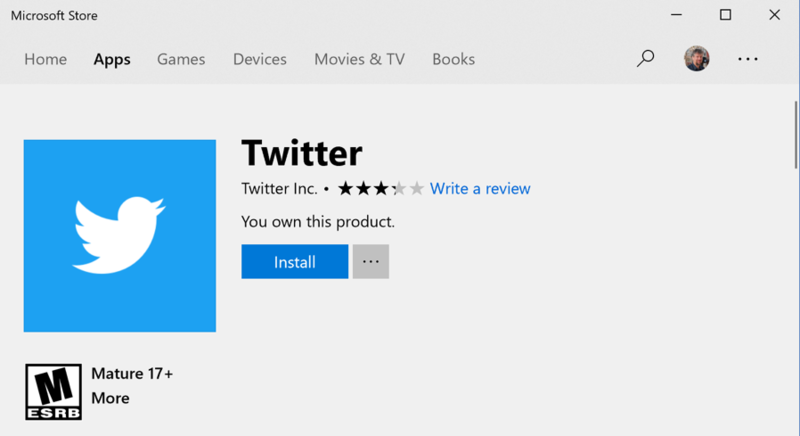 You’ll still need to install the appropriate program for the social network you want to use (like Twitter or Facebook), but the whole process is remarkably easy to set up. Before you proceed, however, particularly with photographs, I encourage you to ensure that the files aren’t overly big before you share them on social media. Most modern smartphones take huge photos, for example, and if you just want to show your friends that you were at the beach, a smaller photo will be faster to upload and subsequently faster to download and view for them later. Not sure how to shrink a file down in Windows? Check out this tutorial: How to Shrink Photos in Windows. Lots of choices. Rather bewildering, actually. 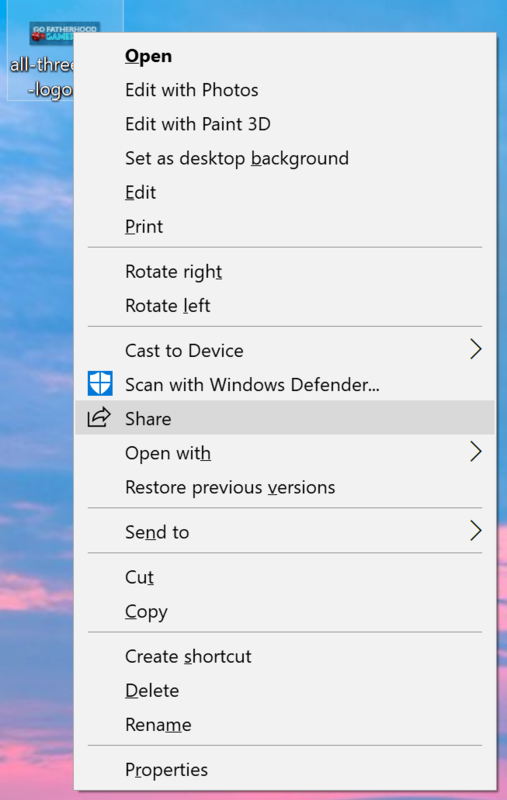 But what you want is smack-dab in the middle of the menu and is highlighted above: “Share“.You might even recognize the icon as the arrow coming out of the square has become a common symbol for sharing content. Some of these even I don’t know, like LINE. If you know what that is, great. If not, well, you can probably safely ignore it and proceed. 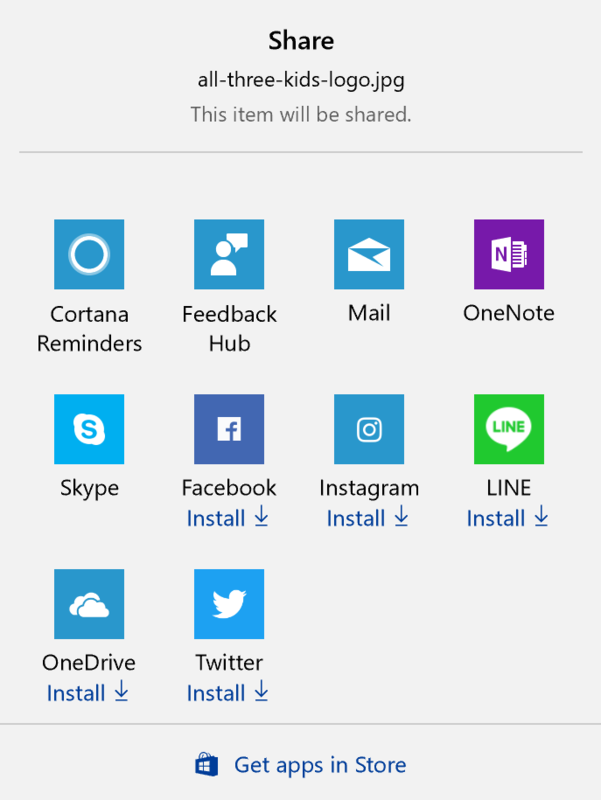 Notice in the above that there are links for sharing via Mail, Facebook, Instagram, Twitter and backing up the file in OneDrive. Since I’ve downloaded it in the past, it shows me “You own this product” but it’s free anyway, so no worries. Oh, speaking of worries, the “M for Mature” and “Mature 17+” simply reflect that there’s content on Twitter – and all social networks – that’s really only appropriate for adults. There’s also tons of content that’s fine, however, so you aren’t jumping into a shark tank, no worries! That’s it. Done. 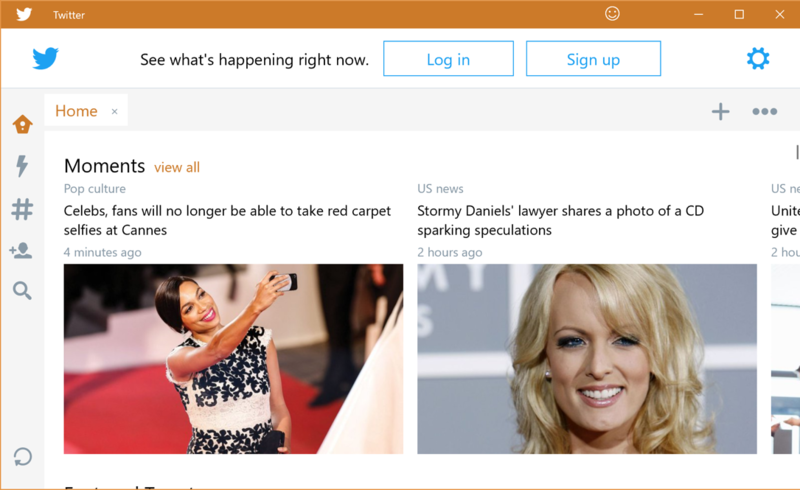 Now you can quit or close the Twitter app, or just leave it running in the background. But, uh, we haven’t shared anything! And that’s how it’s done. You can go through the very same process to set up Facebook, LINE (whatever that is), Skype, and so on. Pro Tip: Follow us on Twitter – @DaveTaylor – and check out all our Twitter and Windows help too!